Airwallex raised US$100 million during its latest funding round led by global investor DST Global who has previously backed internet giants like Facebook, Airbnb and Spotify. Founded in 2015, Airwallex has grown from a start-up to now having a total capital raise of over US$200 million. The company is valued at over US$1 billion, confirming its position as a fintech unicorn with backers including Tencent, Gobi Partners, Horizons Ventures and SquarePeg Capital. 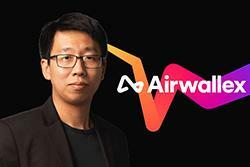 Chief executive and co-founder of Airwallex Jack Zhang said he founded the business because he knew there was a better way to make global payments. “Airwallex is proud to free businesses from many of the traditional barriers that have made international transactions so difficult. “Our mission is to build a worldwide, technology-driven financial infrastructure that will help our customers – including marketplaces, online sellers and SMEs – grow their businesses globally,” he said. Mr Zhang told Fintech Business that the term ‘fintech unicorn’ meant nothing as a word but as a notion gave the company credibility. “That gives us credibility to the market, so it does help from a reputation perspective,” he said. Mr Zhang said that the company had plans for the funding including growing the company, building infrastructure and expanding its reach. “We are already growing very fast in the Asia-pacific region and we will become one of the largest players in this space in APAC and we really wanted to expand that to UK, Europe and North America. So that's one of our key strategies this year. “We also want to expand our coverage to smaller clients, we want to expand our market penetration into smaller businesses,” he said. Mr Zhang said the funding by DST had allowed Airwallex to start having conversations with new companies and improve how they can spready money around. “They (DST) want to support us for the next couple of years and they also want to open up dialogue for us to reach more companies, particularly those large internet companies and help us to move money all around the world,” he said. Managing partner of DEST Global Tom Stafford said that Airwallex aspired to be a global financial platform to meet the needs of banks on an international scale. “The growing e-commerce industry needs a technology-focused payments network that is reliable, cost-effective and provides data transparency. Airwallex has built such a network and we are excited to partner with Jack and the team as they continue to grow their business”.